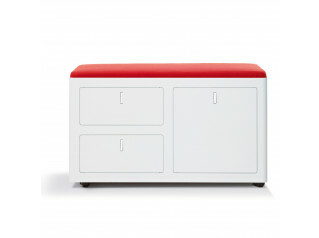 Nice Ped Pedestals are the Primo Storage Collection’s mobile storage complement accessory. 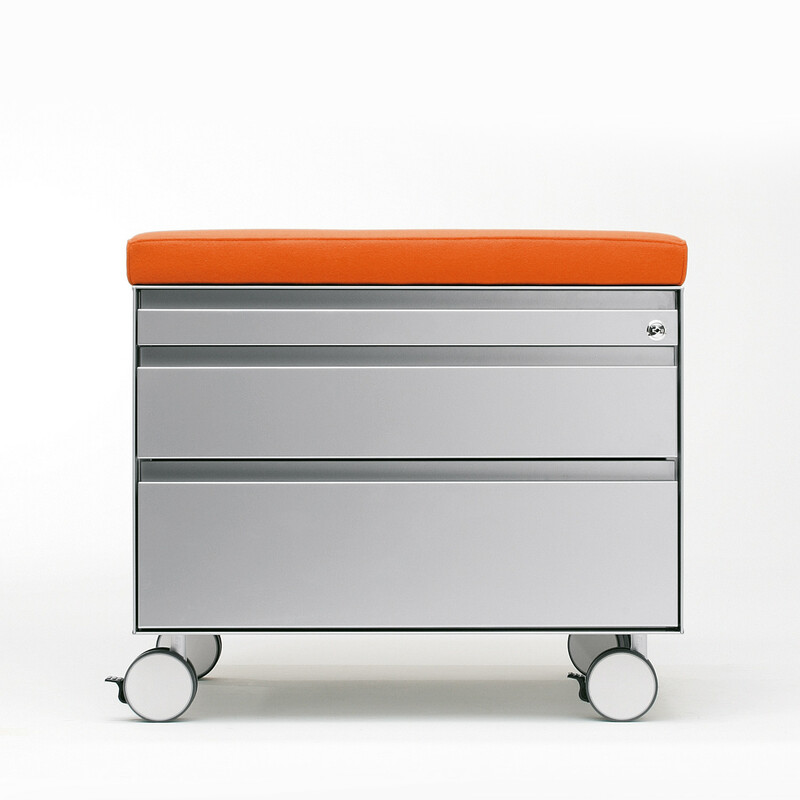 Available in two versions: 1 file drawer + 1 stationery drawer; 2 box drawers + 1 stationery drawer; the Nice Ped Pedestals are a great storage solution which can be used either to store objects or for the safekeeping of personal items. 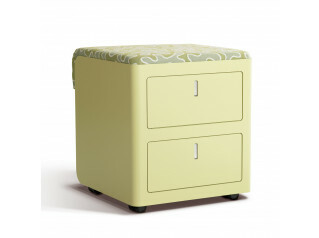 Filing units can be placed on the top of it for more added storage. 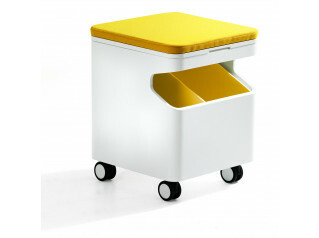 Contrary to the traditional drawer pedestals, the Nice Ped Pedestals are quite generous in terms of proportions permitting their usage as a support surface (to hold printers or other electronic devices), or if you prefer to transform it into a practical seating, either for mobile working or for visitors, a fabric cushion can be added on the top of it. 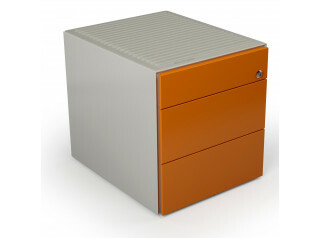 The Nice Ped Pedestals are made of steel and can have the finishes in aluminium or white, pivoting castors of 65 mm diam. 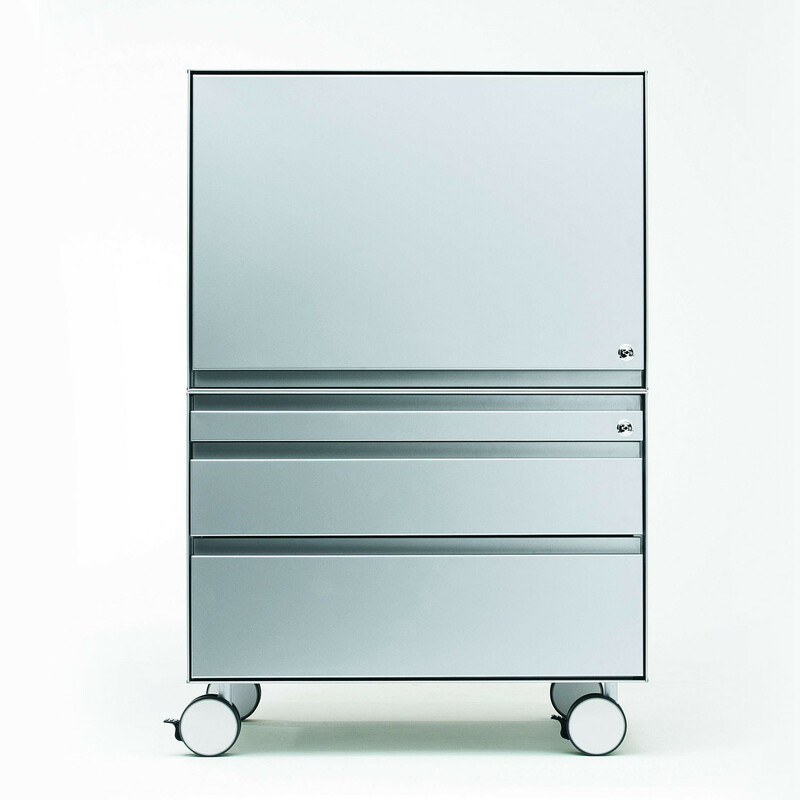 The drawers slide along ball-bearing slides with a high load capacity, it has an internal counterweight and central locking with key. 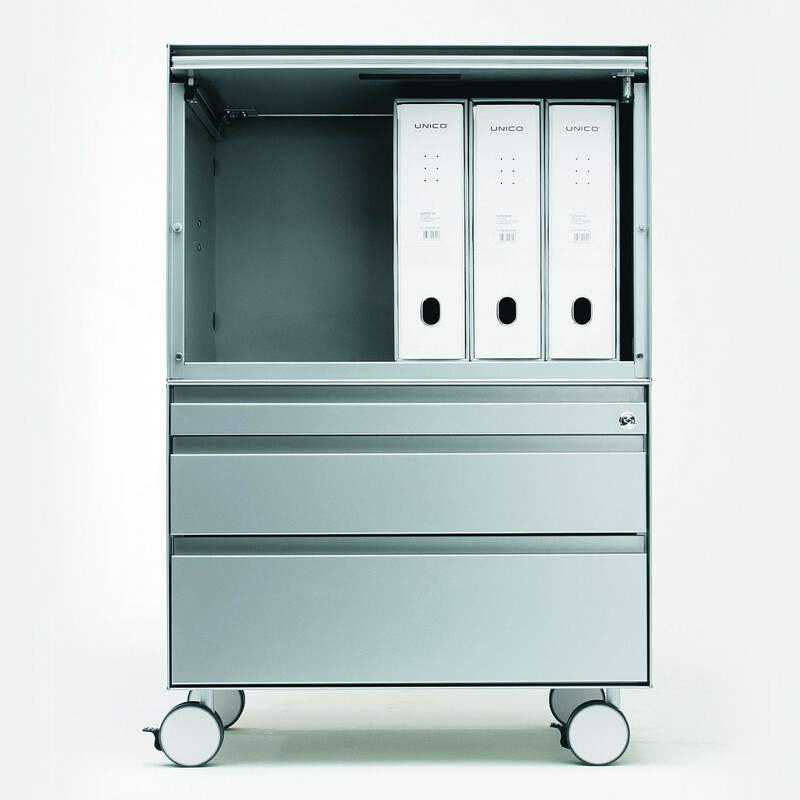 It is a great storage solution with a clean cut which will easily fit in any office environment. 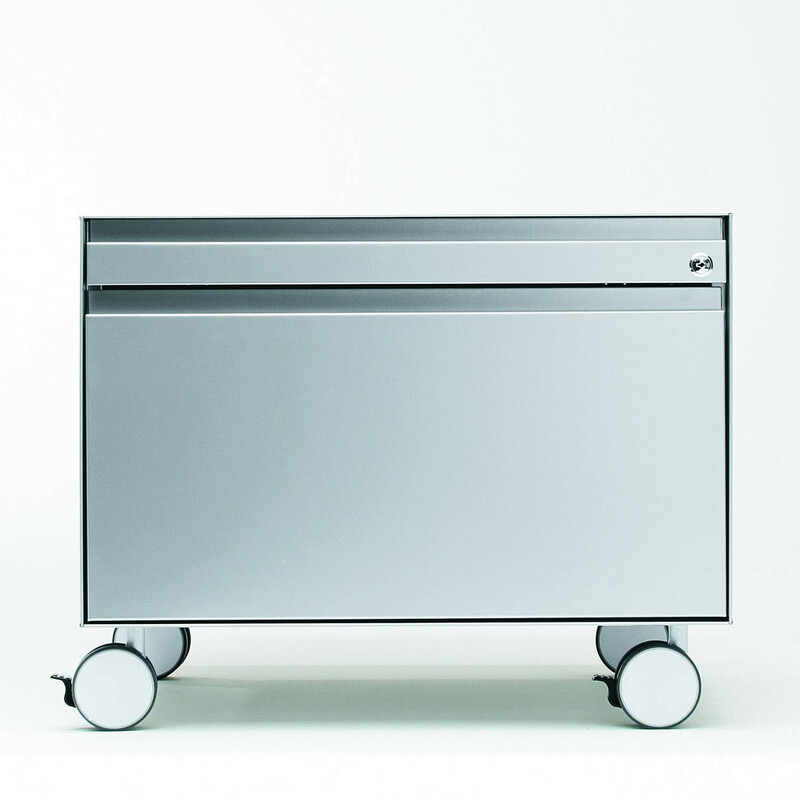 The Primo Storage Collection comprises: Primo Office Lockers; Primo Acoustic Cabinets; Primo Recycling Unit; Primo Filing Drawer Cabinets; Primo 1000 Cupboards; Primo 1000 Door Cabinets; Primo Tambour Cabinets. You are requesting a price for the "Nice Ped Pedestals"
To create a new project and add "Nice Ped Pedestals" to it please click the button below. To add "Nice Ped Pedestals" to an existing project please select below.